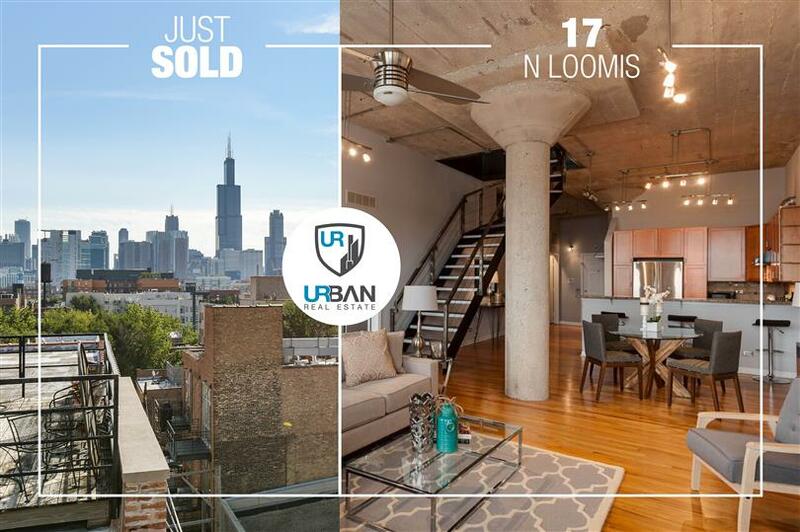 Unique true loft penthouse with large private rooftop deck in West Loop. Beautiful spacious master and second bedroom, both with en suite bathroom and walk in closet. Over 2000sqft of loft space, exposed brick, huge windows and 12ft ceilings. Great Room with fireplace and spectacular steel spiral staircase. Gourmet kitchen features granite island and countertops, abundant storage and pull-out drawer cabinets, Viking and Jenn Air appliances. Elfa shelving in utility room, first floor walk in closet, and bonus room perfect space for office or pantry. Upgraded with newer full size washer and dryer, water heater, furnace and A/C, deck awning, sliding deck door. New Trex decking. Awesome city views. Elevator building.